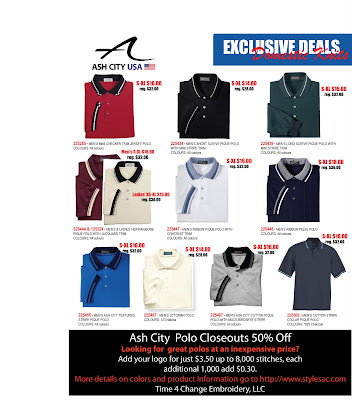 All Shirts on this flier are 50% off. Great products, great prices and good levels of inventory, you’ve seen the quality of their fleece, the shirts are the same high quality products you have come to expect. Go to http://www.stylesac.com/ to view more detailed product information and colors available. Click image to view a larger version of the flier. 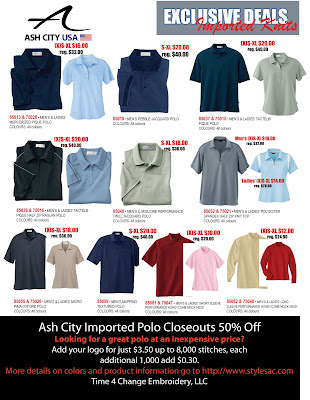 All Shirts on this flyer are 50% off. Great products, great prices and good levels of inventory, you’ve seen the quality of their fleece, the shirts are the same high quality products you have come to expect. Go to http://www.stylesac.com/ to view more detailed product information and colors available.